Next Thursday on August 1, the Moto X will be unveiled in New York City, and these are the final press renders according to @evleaks. We have seen the device pictured plenty of times and pretty much know how it will perform thanks to our hands-on time with the new DROID ULTRA, but the Moto X could still pack some mystery with it in terms of features and customization options. 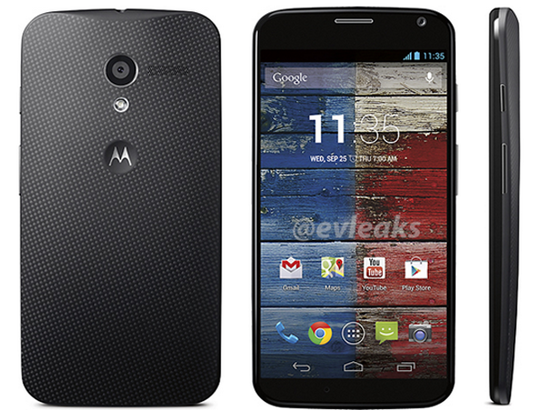 From previous leaks and what comes in the ULTRA, we have narrowed down that the Moto X should come with a Snapdragon S4 Pro dual-core processor clocked at 1.7GHz (with Motorola’s X8 Mobile Computing System), 2GB of RAM, 16GB of internal memory, a 10MP back-facing camera, feature a 4.7″ 720p display with on-screen navigation buttons, 2,200mAh battery and NFC capabilities. Sound like something you would like? 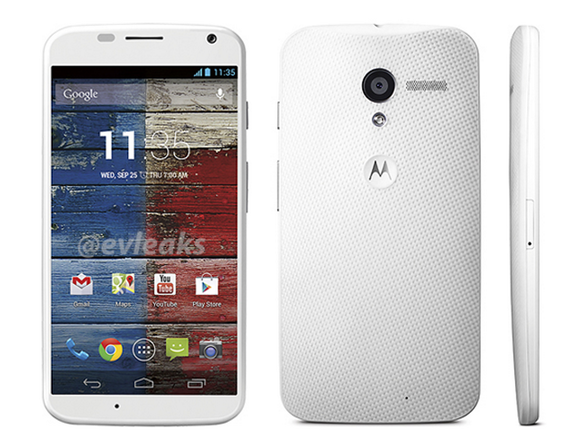 Who here is still holding off on getting a new phone in hopes that the Moto X is exactly what they want?